This homemade kimchi recipe is one that blends the classic salty, sweet and spicy flavors of traditional kimchi with one of our favorite superfoods, the goji berry. Kimchi, a well-known iconic side dish, or "banchan", of Korean cuisine, is largely created the same way you would make sauerkraut or any kind of cultured vegetable, requiring the same method of lacto-fermentation. This is a fairly simple culturing technique that basically involves, chopping your vegetables, creating a brine, packing the mix into a jar and leaving it to ferment for a number of days in a row. Generally, we like to let ours to go for about 7 days, but shorter or longer fermentation times are also possible depending on what you'd like to achieve. Three day ferments produce more subtle flavors and crisper textures, whereas longer ones allow for more developed pickled tastes and softer vegetables. 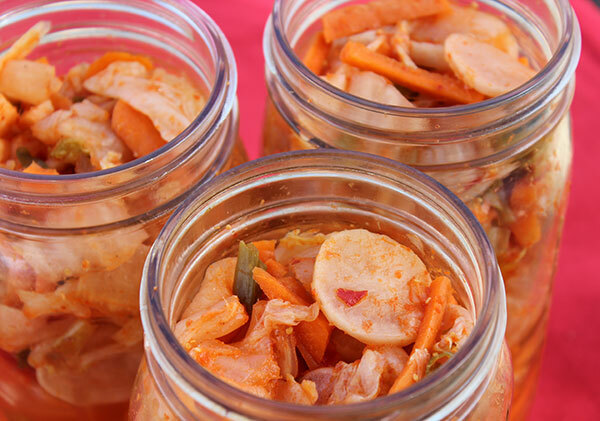 Kimchi, fermented for at least 7 days, contains greater amounts of beneficial lactic acid bacteria. In Korea some regional styles are very short ferments while some are customarily kept at cooler temperatures, sometimes buried in the ground, to slowly age for many months. When kimchi is packed tightly in a jar or vessel under a liquid brine, an oxygen-free environment is produced which supports the growth of desirable bacteria and eliminates pathogenic varieties when kept at a room temperature not greater than 72°F (22°C). During the vegetable culturing process the lactose and other sugars in the vegetables are converted to lactic acid, which in turn gives birth to various genus strains of the lactic acid bacteria (LAB), called Lactobacillales. 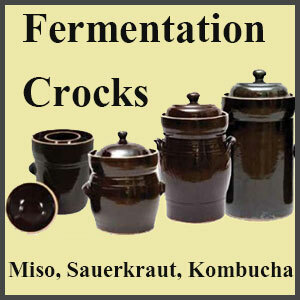 Each of these anaerobic bacteria, in varying proportions, are produced at different stages of the fermentation process, supplying unique tastes and textural qualities. 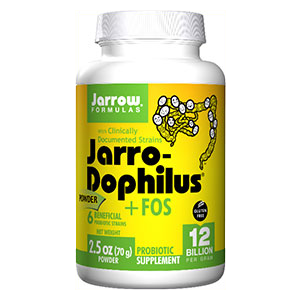 Some common LAB's like L. acidophilus, L. plantarum and W. cibaria are probiotic (life supporting) bacteria that are beneficial to consume for healthy intestinal balance and additionally help to improve digestion of the foods consumed with them. In one 2014 published study in the Journal of Cancer Prevention, kimchi was demonstrated to exhibit both intestinal and immune enhancing qualities. 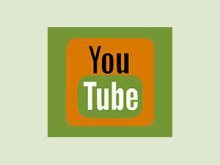 The study concluded that, "The antibiotic tolerant probiotic presented in kimchi suppresses expression of carcinogen activating enzymes and possesses many other health benefits such as suppression of growth and development of pathogenic bacteria, intestinal regulation, and immune boosts. 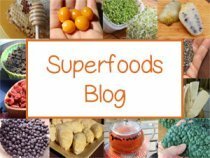 Especially, the W. cibaria and L. plantarum found in kimchi have many effects, like anti-inflammatory, immune modulating, and blood cholesterol reducing activity, which may account for their cancer preventive/anticancer potential." Kimchi, also spelled "kimchee", is a traditional Korean fermented food consumed for centuries as a staple condiment eaten with most meals. It is officially the country's national dish. 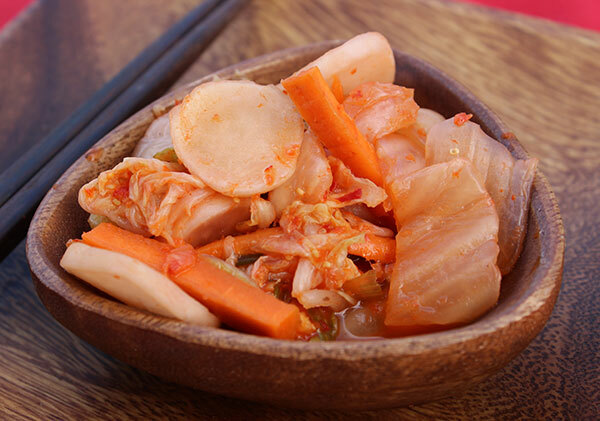 There are over 180 reported varieties of kimchi differentiated by the kinds of vegetables utilized as well as the assorted mix of seasonings incorporated. Similar to miso styles, different types are also categorized according to the regions from which they originate. 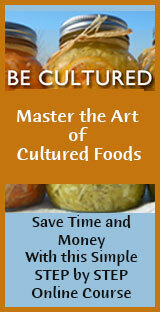 Many versions have been developed over hundreds of years with recipes passed down from one generation to the next. Kimchi is essentially a variation of cultured vegetables that may contain a wide-range of foods including, different types of nuts, seafood, green leafy vegetables, as well as dried and fresh fruits. Most all varieties include main ingredients like cabbage, daikon radish, scallions, red chili pepper flakes (kochukaru or gochugaru) and a sweetener. 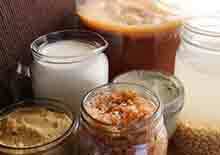 Spices like ginger, garlic and seafood pastes are also commonly used to flavor the vegetable ferment. Kimchi's are typically served as a "banchan", which is a small dish of food served with cooked meals and rice. By far the most popular variety of kimchi known around the word is called baechu kimchi, which uses Napa cabbage, or also called Chinese cabbage, as a main ingredient. The ways in which it is prepared varies considerably. Some cabbages are left whole and the leaves are stuffed or layered with salt and paste mixture, whereas other recipes may culture the whole individual leaves or chop them into large pieces. Depending on the regional style some kimchi's can be saltier than others. In certain parts of Korea where more salt is added, it is customary to soak the cabbage in fresh salt water for a number of hours and rinse and repeat this process several times. Certain varieties, like bossam kimchi, is made from salted cabbage as well as a broad range of foods like pine nuts, jujube dates, chestnuts, watercress, mushrooms, pears, sesame seeds/oil and a number seafoods. We have also come across some information that this specialty version may additionally include tonic roots like Korean ginseng. 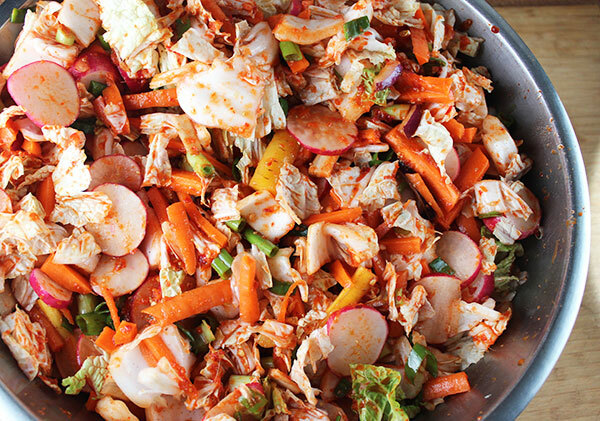 Bossam kimchi is usually reserved for special occasions or holiday celebrations. Our kimchi recipe version here on this page is basically an adapted American-style baechu kimchi variety using traditional ingredients along with a few of our own. 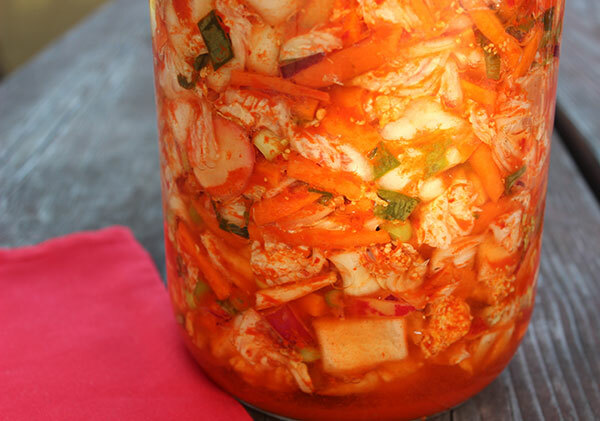 A great tasting kimchi is only as good as the seasonings you use to culture it. Having a well-balanced kimchi recipe that incorporates the spicy, sweet and salty flavors is key. Adjustments can be made, of course, depending on one's own taste preferences. Some may enjoy hot pungent spices while others might prefer less spice as well as different ratios of salt or sweetener. 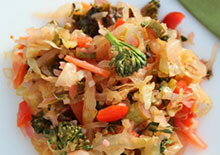 These ingredients can be easily modified as most fermented vegetable recipes are quite versatile. We prefer ours less on the salty side but with a good amount of pungency. 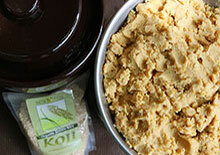 When making kimchi, a paste or kind of brine sauce is often used. 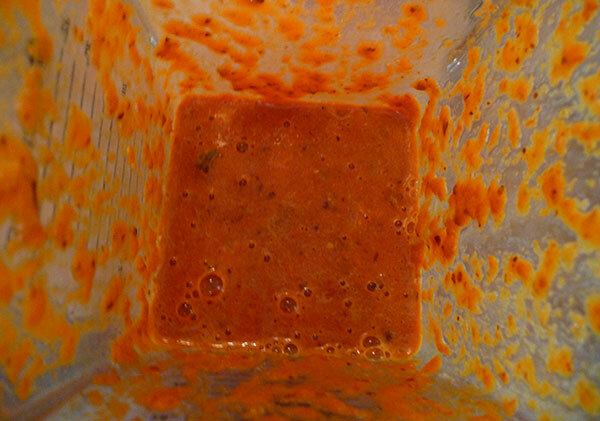 We make ours by blending culture starters, pure water, some cabbage, raw honey, soaked goji, salt and spices. In Korean-style kimchi, a similar paste is often added to whole pieces of cabbage and customarily squeezed to help extract the natural juices. 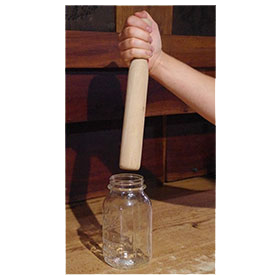 This is usually done directly with clean or gloved hands by gently squeezing and massaging the mixture. Culture starters are not normal used in traditional preparation and are not totally required for a successful end result. 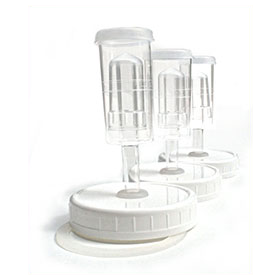 They can be helpful to add, however, if you want to ensure a good microbe filled ferment. 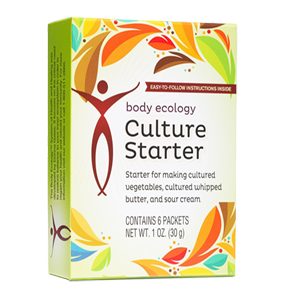 A culture starter, or a simple probiotic powder, can also help to initially activate the fermentation process, giving it a good head start. 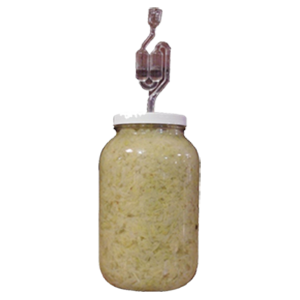 Kimchi needs to ferment in an anaerobic environment protected under a brine solution. This means that your unfermented mixture should be submerged within the surrounding liquid created from a combination of brine and the natural juices released from the vegetables after the two are mixed together. This is most effectively achieved by adding glass crock rocks (also called pickle pebbles) or equivalent weight to the top of the kimchi ingredients to weigh it down under the cabbage leaf layer. 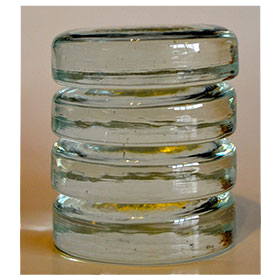 We have also found that when packed tightly the ingredients often remain fully submerged, but a heavy weight on top can definitely help provide an oxygen-free environment. 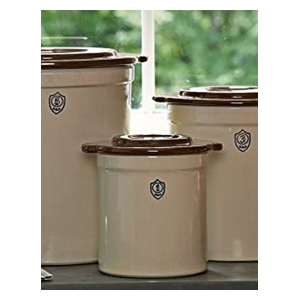 5) Using a Lid or "Kraut Kap"
We always place a loose lid over the fermentation vessel, but you can also use what are often called "kraut kaps." 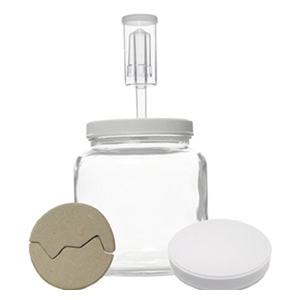 These are mason jar or gallon size fitted lids that have an air lock embedded in the lid which helps to release gases but keeps the oxygen and contaminants from getting in. Remember that you should never place a tight lid on fermenting vegetables as the carbon monoxide gas can build up pressure in the jar and cause it to potentially explode. 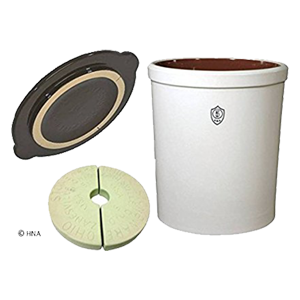 When using a loose lid we always place a clean cotton cloth over the top with a rubber band to help keep out any dust or debris. It is a good idea, although not completely necessary, to replace your top cabbage leaves at about day 3 or 4. These top leaves often soften at this point and if exposed to air can create surface mold or become slimy. To avoid this we replace them with fresh cabbage leaves mid-way through fermentation. 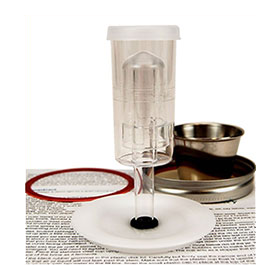 As mentioned, it is best to keep the fermentation time at about 7 days between a temperature range of 65-70°F (18-21°C). Warmer temps over 70-75 will ferment much faster than cooler ones below 65°F (18°C) and may increase the likelihood of surface molds. 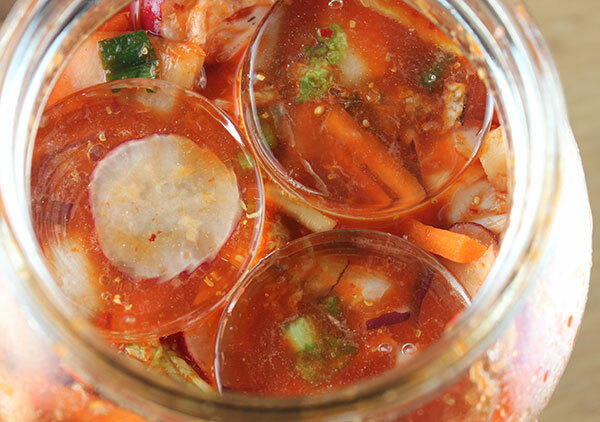 Fermenting at the appropriate temperature allows for the best tasting kimchi flavor and texture in our opinion. 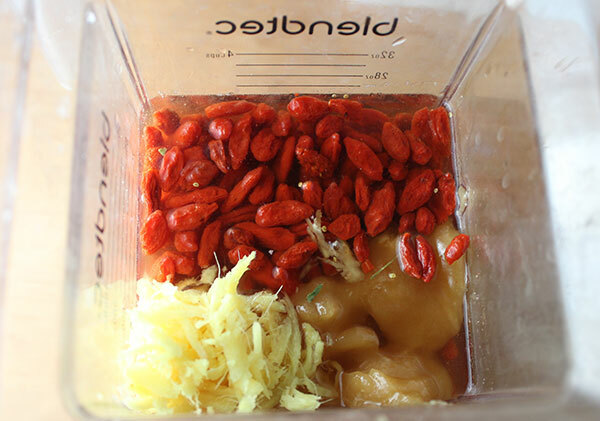 Many traditional kimchi recipes use sugar, but instead we use raw honey and the sweetness of goji berries. The end result however, only has a mildly sweet taste because most of the sugar content is consumed by the beneficial microbes. You will need a one gallon glass or ceramic vessel to pack your vegetable mix. This recipe makes approximately 3/4 of a gallon of kimchi as you will be leaving some room at the top to place your cabbage leaves and/or rock crocks (pickle pebbles) if you are using any. First prepare you kitchen space by cleaning all equipment, tools, jars and chopping boards in hot soapy water. Make your brine "sauce" by blending the above list of brine ingredients until a smooth texture is achieved. Allow it to sit while you prepare your vegetable mixture. Cut the cabbage leaves in half (lengthwise) and then sideways into bigger pieces, add to a large bowl. 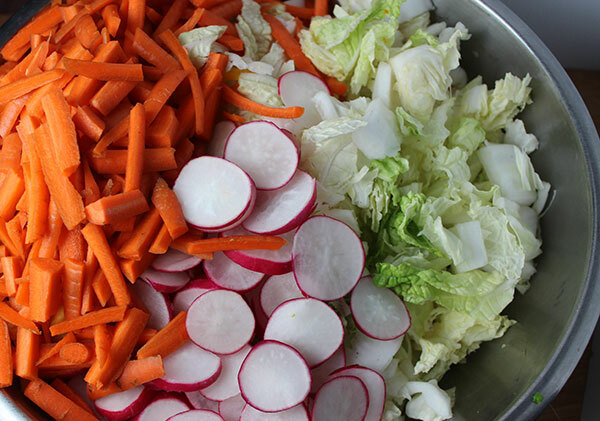 Slice the radish into circles and julienne the carrots. Chop the scallions, peeled burdock and onion and add all to the cabbage bowl. 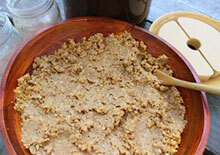 Add the brine sauce and thoroughly mix with clean or gloved hands, gently squeezing the ingredients. Allow the mix to sit for about 20 minutes covered with a clean cloth. Using a measuring cup, pack 1/3 of your unfermented kimchi mix into a clean glass or ceramic gallon size jar or fermentation crock. Press the mix down firmly with a tamper or use the back of your clean hand. Continue to add another 1/3 and repeat the packing process until the jar is full with some space at the top for a layer of cabbage leaves. The vegetables should be firmly pressed down with no air spaces and submerged underneath the brine liquid. Place glass crock rocks on top if you are using any; we usually use about three standard mason jar size crock rocks pressed directly on top of the vegetables. Place about 4-6 thick clean cabbage leaves on top of the mix. Cover with a loose lid (and clean cloth) or use a "kraut kap." Label with the date, and place in a dark pantry or cupboard space. 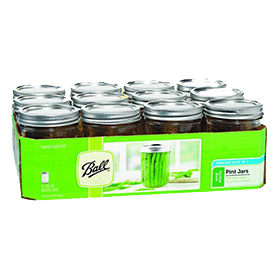 Allow to ferment for 7 days between a temperature range of 65-70°F (18-21°C). Sometimes 10 days is more appropriate when fermenting at lower temp's. Around day 3 or 4 replace the top layer of cabbage with a fresh leaf layer. Taste test your kimchi recipe at day 7. If you wish to ferment longer, place fresh cabbage leaves on top. 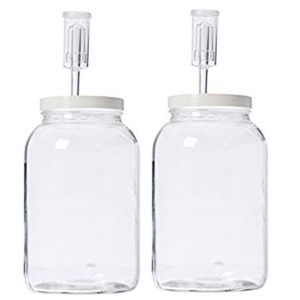 When ready to decant, discard the cabbages leaves, and remove your cultured kimchi from the fermentation crock and place in glass mason jars with lids. 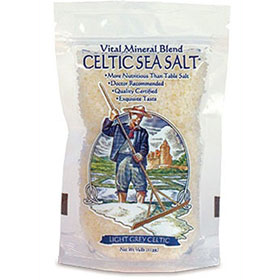 There will also be a good amount of brine liquid which can be strained out and used for salad dressings. 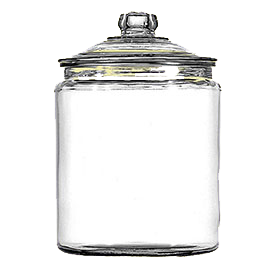 Store jars in the refrigerator to stop the fermentation process. Most kimchi will last for months and even years when stored appropriately. Remember... It is also possible to impart a seafood-like flavor, comparable to many traditional Korean kimchi recipes, by adding different seaweeds like nori or dulse flakes and pieces. 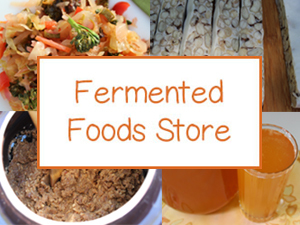 Also see our fermented food recipes in the links below for more on how to make your own cultured vegetables as well as black-eyed tempeh, black bean miso, coconut kefir and other cultured foods. At first kimchi, because it is cleansing to the body, might trigger the elimination of toxins and undigested waste material in the colon. 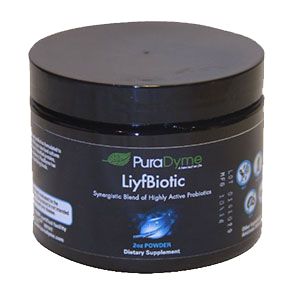 Therefore, you might have an increased amount of intestinal gas with frequent bowel movements. This kimchi recipe should be avoided by those with an adverse reaction to spicy foods. 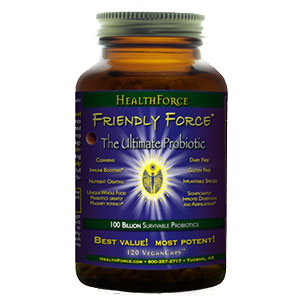 People who have allergies to mold should seek the advice of a health care professional before consuming any fermented food.